Hey, everyone how have you been? Tomorrow the world celebrates a special holiday, one where all families come together on a dinner table and share a meal and a present with their loved ones – this is Christmas. I’ve been thinking about what to write for this post and after a while it kind of came to me. It’s sad how in this world a lot of people still don’t get the meaning of Christmas. But what is amazing is how many kids and young adults do know and are trying to share that. They’ve all known since forever that the meaning isn’t in what you get, but who you get to be with. These holidays are meant for family time and friends time, not for whose gift is bigger or prettier. Of course, it’s nice to show someone a little attention which would go a long way but not just via a gift – remember the best one is your presence there with your loved one/s. Christmas is an amazing holiday which we can use to show the world that love still does exist, in many forms and in many places. This is what Christmas means. I hope you all never forget it and remember to share it with the generations to come. Now that we got that special part done with ( I was really trying to not sob while typing that I’m such an emotional wreck sometimes you don’t even wanna know ) let’s just jump right to the fact that it’s winter already. Yep, the Pixie Hollow Winter Season has almost officially kicked off to a good start. All we need now is the actual winter-like Hollow to get the real chill-feel going around. Speaking of which, the update should happen today. 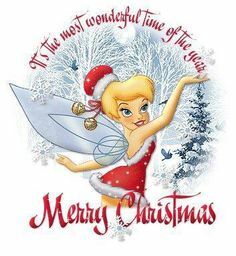 Also, another thing I’d like to say is a reminder for the Famous Fairies Christmas Ball. There are two parties – technically run by us moderators all the same but within different timezones. You see, me and a lot of other fairies and sparrowmen couldn’t make it to the staff’s US time-suited parties because of the timezone differences and we decided – me and Crystal Airshine that is – that it was high time we made a party that would fit our timezone for once. And so, the two-part party for Christmas happened. p.s. I don’t know if the Ballroom is gonna get transformed by this time for the EU party. Perhaps that’s why Nora put Chilly Falls as a default gathering place. We’ll see. Now, another thing is that for this party I’ll be doing a music playlist over on Youtube. I’ll post the link in the Forum as a new thread so you guys can add stuff to it too. I know it’s a little early for this, but I want to wish you all a Merry Christmas and I hope you are going to have a nice time with your families and friends. Also thanks upfront for the same because I know in the comments you’re going to reply the same to me but I don’t celebrate this weekend – I’m from one of the few countries that celebrates 6-7th of January. As an end to this post I’d like to give you two nice Christmas specials to watch – they’re really something and I loved watching them. – I’m sorry but this one wasn’t on Youtube so just follow the link to watch it. 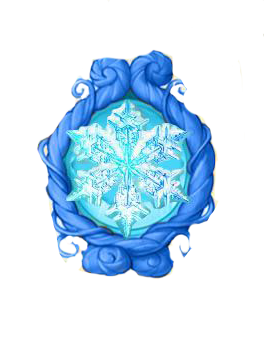 That’s all from me and oh of course, a special badge for all my readers – the Badge of Winter. Ikr? They actually managed to keep them rhyming AND keep the original messages of the songs too!